Has it been a while since you’ve updated your office? Take a look around, and envision yourself as a first-time customer. What feeling do you get walking in through the entrance? Does anything stand out? Is there anything that seems missing? These are the types of questions you can look forward to during a SpeedPro service consultation. 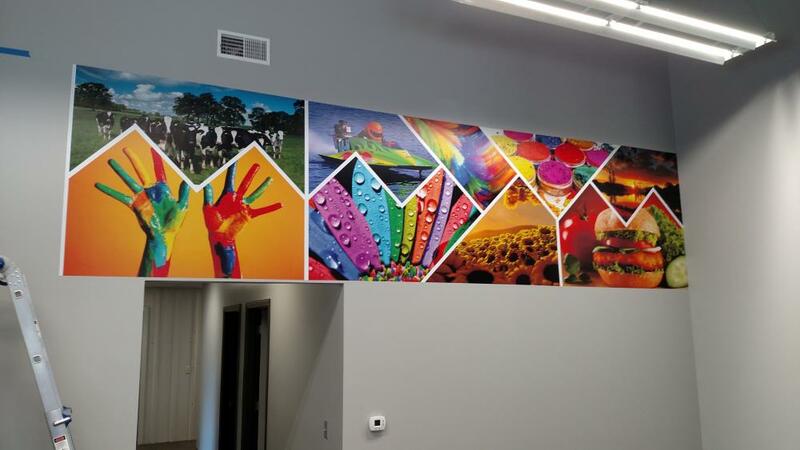 If you’re looking to redo or update your office graphics for your business, you’ll want to focus on the aspects that a customer will notice. 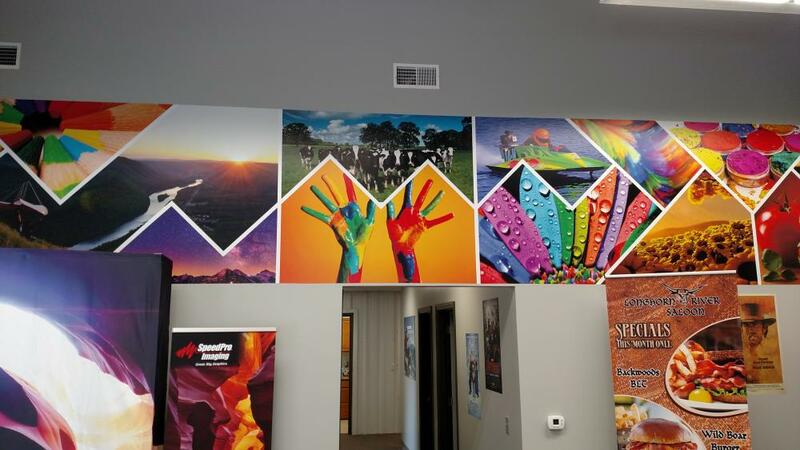 Your office space should welcome customers and clients while effectively representing your company to increase your sales and business — all achievable with our office graphics. SpeedPro Imaging Long Island City is more than eager to start a new brand design project with your business. If you’re located in the Queen, Manhattan and Brooklyn areas and want to invest some time into your corporate graphics, reach out to our studio today! Our team will make sure your consultation gets set up fast so that we can start planning and designing. Even before customers walk into your building, they have an expectation. Once they’re inside, you’ll have a hard time completely changing their mind about your business and molding their experience. 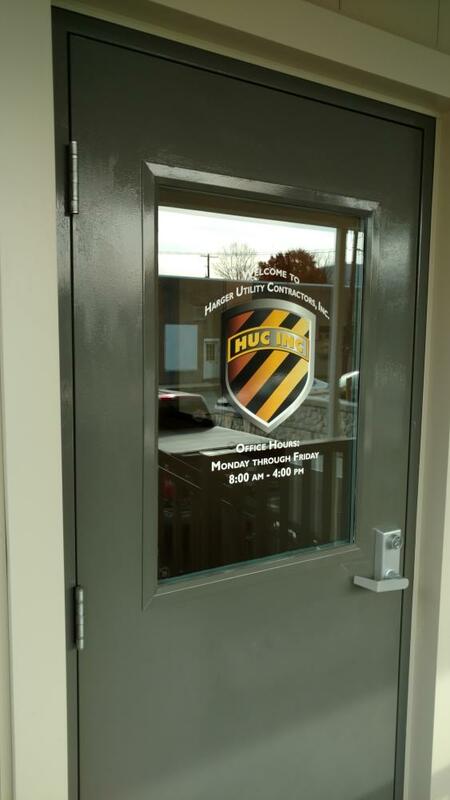 To effectively keep customers interested and highlight your business’s perks, your office branding needs to be on-point from the minute a customer crosses through the entryway. 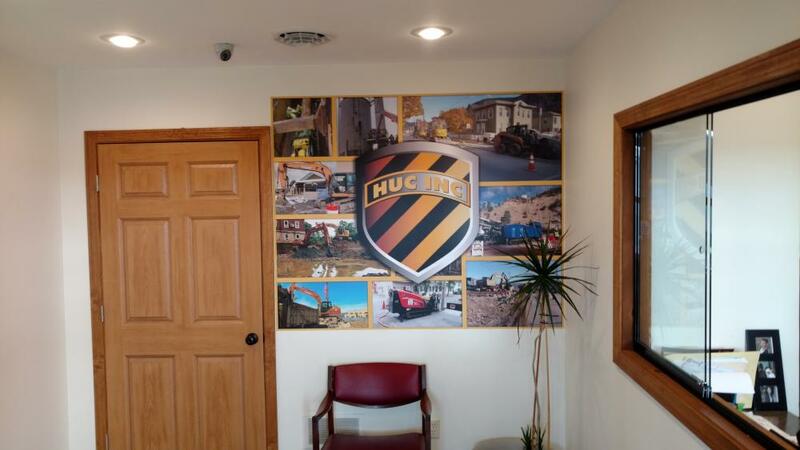 Banners are a wonderful and versatile visual display inside an office. You could hang them around the outskirt of a reception desk, along a hallway or throughout a conference room. A banner can also be placed inside a retractable banner stand so that it sits on the ground in the perfect way to attract attention. Whether you’re sharing information, giving fun facts about your business or advertising new products or services, banners can effectively grab and keep attention. Directional signage will help in making customers feel at ease and not confused. If it’s a customer’s first time in your office, they might want assistance in getting around — but they may not be comfortable enough to ask for it. Having signs that point out the various floors, hallways, room assignments and bathrooms in your building will quickly allow them to feel settled. Besides, you can have a lot of fun including a portion of your brand on each of the signs to create an increased feeling of inclusivity. No matter which options you choose, SpeedPro will make sure you receive the quality products you’re looking for. Our ink technology allows us to print bold and vivid colors in a variety of shapes so that your corporate graphics don’t go unnoticed. If your office looks a little outdated and you want to improve your sales, give our studio a call! We’ll set you up with a consultation appointment to start broadening your business as soon as possible.